Hamtramck High’s boys’ basketball team has played the first two games of the 2009-10 season. While they both resulted in losses, there was plenty to cheer about. The Cosmos (0-2) played their first game last Tuesday (Dec. 8), losing 75-62 to Bishop Foley. Despite the loss, Head Coach Mark Nezich said “it was a good game for a first game,” noting that although some key players cramped-up at the beginning of the fourth quarter, the team worked hard and together to get through it. Though the teams were pretty well matched, Nezich believes the deciding factor for the game was the percentage of three-point shots made by Bishop Foley. However, the Cosmos were able to stay in the game due to their discipline and efforts under the rim. “We rebounded very well as a team and were able to stay out of foul trouble, which was very good for us,” said Nezich. The high-scorer for the Cosmos was Junior Anthony Nrecaj, who had 17 points and eight rebounds. Senior Javontae Hines contributed 12 points and nine rebounds. “For a first game you hate to lose, but I liked our effort and it gives us something to build on for the future,” said Nezich. 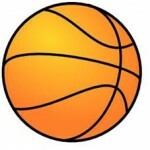 The second game was Tuesday (Dec. 15) against Old Redford Academy. Although the Cosmos jumped out to a 10 point lead early in the first quarter, they ultimately succumbed to the Ravens 61-56. A fourth quarter surge had all the makings of a Hamtramck comeback, but Old Redford managed to sink a majority of their free throws down the stretch to seal the deal. Once again, Hamtramck was led by Hines and Nrecaj. Hines had a huge dunk during the fourth quarter rally and finished the game with 19 points and nine rebounds. Nrecaj scored 24 points and pulled down 15 rebounds. “We have some good things to build on, we just have to be more consistent,” says Nezich. The team’s next game is tonight (Dec. 18) at Royal Oak Shrine.